All of our flights launch from the same area in the South Park Valley. We have strategically located our balloon ride operations in this area so that we may conveniently service all of our guests from the Denver/Front Range Region, the Breckenridge Region, the Colorado Springs Region and the Buena Vista/Canon City/Fairplay Region from this one central location. For 21 years and counting… Colorado Hot Air Balloon Rides is proud to be Colorado’s #1 choice for mountain balloon rides. 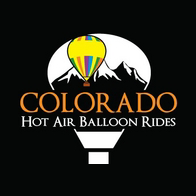 Our balloon ride facilities are conveniently located 2 hours or less from Denver and most Front Range communities. Our balloon rides make for the perfect day trip to explore the central mountains and to enjoy our wonderful world of hot air ballooning. 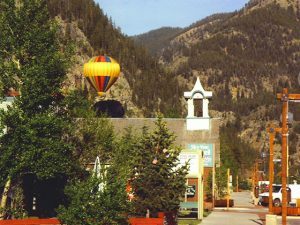 Many Front Range locals will plan a mountain “staycation” around their balloon ride with our company. If you are a Front Range guest that does plan to stay in the mountains the night before your flight please make sure that you book your online reservation from the region that you will be coming from on the morning of your flight as all confirmations and directions are region specific.